Event calender for Southern Norway. Concerts, festivals, exhibitions and cultural events in Southern Norway. Norway's largest film festival aimed at children and youth. 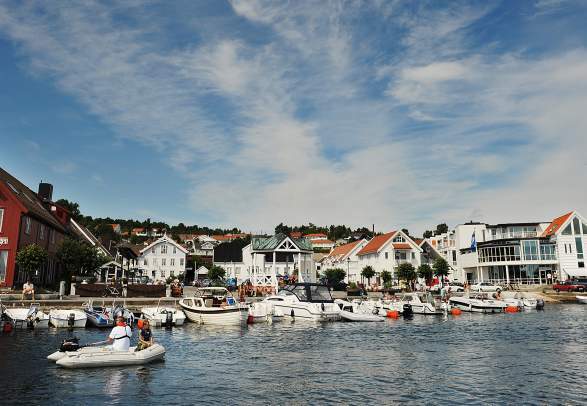 The Risør Chamber Music Festival is widely recognized nationally and internationally for its variety and quality of programs. The Emigration Festival in Kvinesdal takes place over nine days with activities for the whole family. The Hove Festival in Arendal rises from the dead! We have waited 5 long years for this. Get your earlybird ticket today! As so many times before, this year there will also be a festival in the garden of the Lie Loftheim family. "Ravnedans" is a festival to celebrate the art of contemporary dance in Kristiansand. Southern Norway's most cozy music festival. Paradis Live is an out-door festival at Farsund Resort. Farsund Motorbåtforening is the organizer of the concert. Drift down the river and see concerts and events along the riverside. The Villvin Market is the largest and most exciting exhibition of high quality handicrafts and arts. 2-day music festival in Kristiansand. Fjellparkfestivalen music festival in Flekkefjord. Concert with Madrugada in Ravnedalen, Kristiansand, Southern Norway. Eikerapen Roots Festival, Åseral. The festival combines top artists with great atmosphere. Large outdoor concert at Odderøya. Mini music festival at Odderøya, Kristiansand. Dragefestivalen Kite Festival in Kristiansand. Southern Discomfort music festival will deliver hardrock and metal in Kristiansand. Vivid is an post-rock / post-metal festival held in Kristiansand, Norway. Music festival in Kristiansand, Southern Norway. NB: During the holidays there may be changes in opening hours and regular events may be cancelled, so check the relevant websites for updated information. Click on the map and zoom in to your destination.